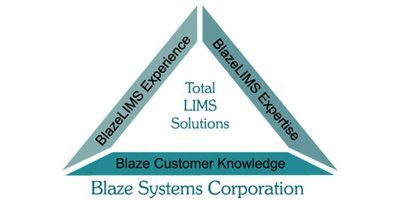 No single other factor can influence the business success of a LIMS installation over its life cycle more than training, provided it is effectively carried out. The Chinese proverb 'Give a man a fish and you feed him for a day. Teach a man to fish and you feed him for a lifetime' holds sway for LIMS installations. So also is the realization that learning is a process, not an event. Therefore Blaze Systems' training methodology encompasses much more than our classroom lecture/demo/workshop offerings. Formalized and tailored classroom lecture/workshop sessions. Configuration assistance to reinforce concepts, review application and validate understanding. Hotline assistance to remind, focus and direct capability. Refresher exercises as needed to augment. User (Usually train the trainer). All training is tailored to the specific project and audience in order to be most effective for their needs, to insure critical subjects are mastered, and to avoid wasted time covering unnecessary subject matter. May be held at Blaze Systems' offices or at customer site(s). Subject matter and number of hours follows guidelines, but may be adjusted depending upon the complexity of the LIMS and its environment.